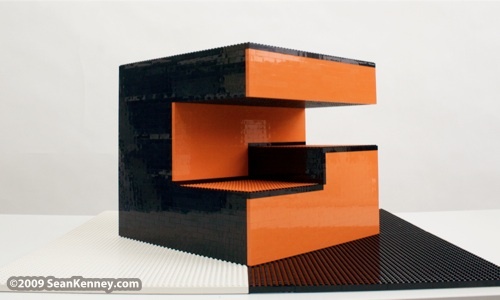 Gatsuurt, a mining company based in Mongolia, commissioned this LEGO sculpture of their logo. 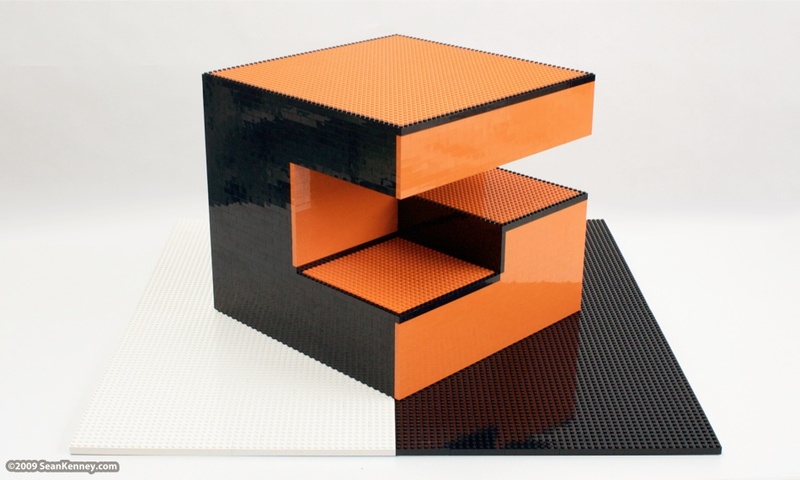 It is a 3-dimensional sculptural interpretation of their 2-dimensional logo. 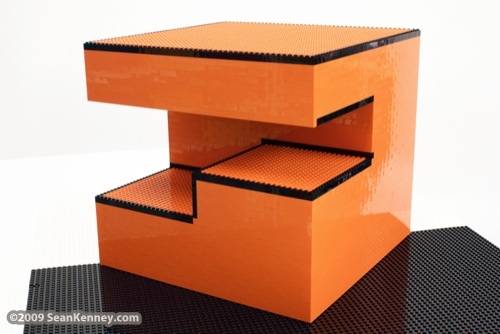 It measures 30" x 30" x 15" and contains over 3,000 LEGO pieces. It's always fun to translate a drawing into a sculpture, because you have to think about what the drawing represents and how you can treat it in three dimensions. What would the drawing look like backwards or upside down?